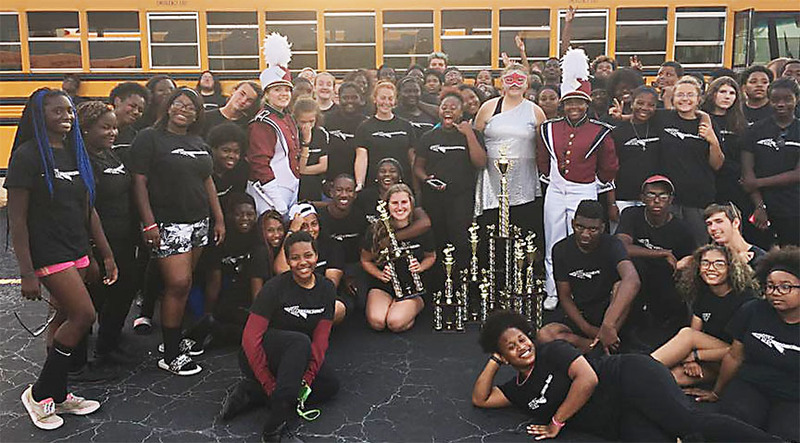 The Blytheville Chickasaw Marching Band performed exceptionally well in their ratings at a competition in Jonesboro on Oct. 1, with members earning first place in drum major and percussion, and senior Megan Jenkins receiving the "Outstanding Soloist" award. The band competed in Class AAA (classification determined by the number of musicians), and the members finished second in band and second in color guard, and an overall rating of "Excellent." They wound up fifth overall, their best in this particular contest. The band members will compete Oct. 8 at a marching contest in West Memphis.